You are here: Home Forum Home Wood Boats Dry Parade, Saturday Classic Boat Fun! 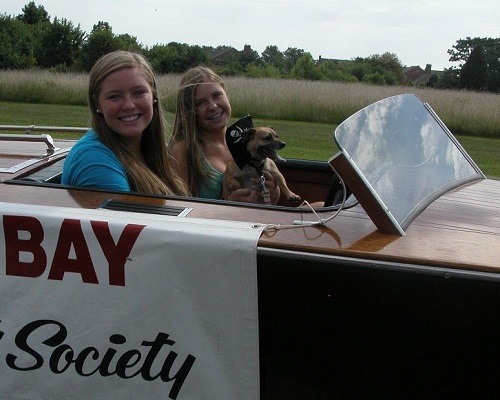 Dry Parade, Saturday Classic Boat Fun! 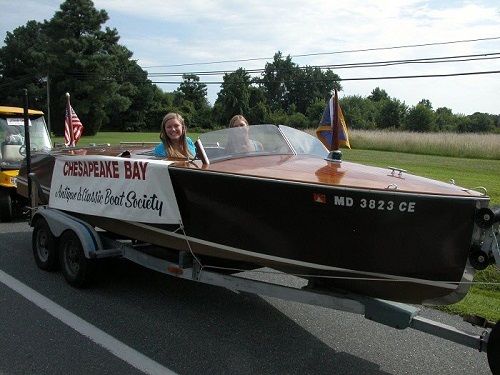 TOPIC:	Dry Parade, Saturday Classic Boat Fun! Chris (#seabuddy) Brown and Ray Maule skipped the trailer from it's garage and down the main street of the town of St. Michaels, MD. No Get 'Em Wet this day. The Buick has an electric starter.